Recently, one of my cousins told me that she was utterly mystified by her results at Family Tree DNA. I could tell that she was confused between Y line testing and autosomal testing and what each of them could, would or might do for her. Because she was confused, she saw no value in testing. Ouch! These conversations distress me, greatly, especially when people don’t understand the value they do receive – because they tell other people. I know that if people really do understand how to utilize these tools, they will only have good things to say about genetic genealogy and testing. It has broken down so many walls for so many people. Ironically, it’s how I found that cousin. Genetic genealogy is a word of mouth field – and the more people who test and participate in the various data bases – the more answers will be found by all of us. Given this, I am particularly pleased to see that Family Tree DNA has teamed up with Elise Friedman, of Relative Roots, to offer free educational webinars focused on the basics of genetic genealogy and how to understand and use your results. The live webinars will be recorded and uploaded to any-time format after the live sessions. I don’t know how long these will be available (in the past, about a month,) so if you are interested, do watch them now. The first live session took place last week, and it’s available now as a recording. 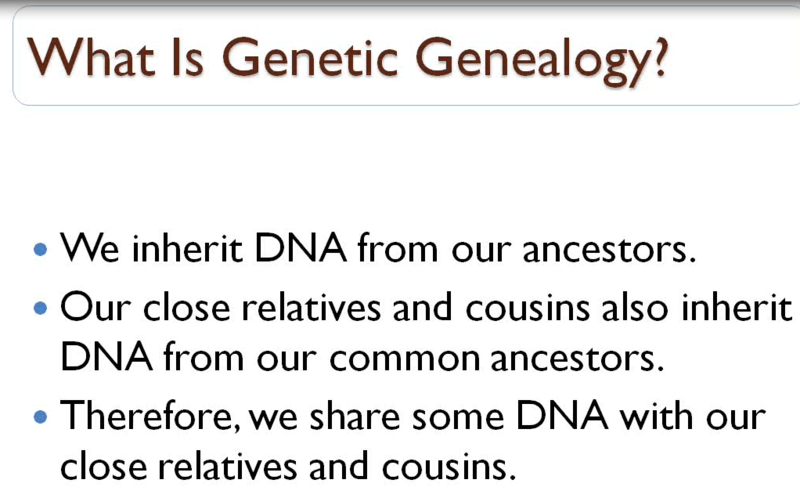 I also understand that Family Tree DNA will be offering monthly educational Webinars, so stay tuned for more. 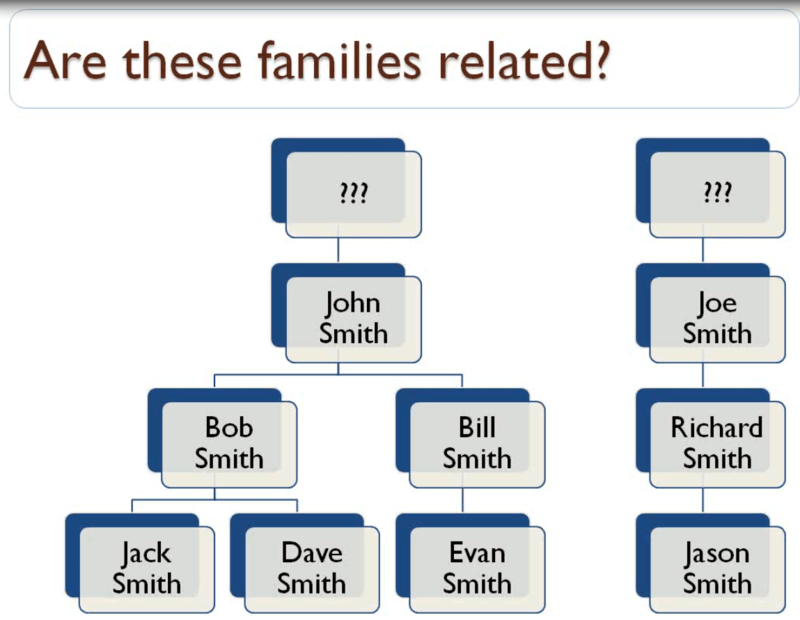 This FREE Online Seminar will help you learn the basics about Family Tree DNA’s Y-DNA, mtDNA and Family Finder (autosomal DNA) tests. Elise explains what each of these tests can tell you about your ancestry and how to decide which test to order based on your personal interests and goals. She shows the basics of personal myFTDNA account where all of your results are reported as well as example results from each test. Elise will also gives a brief overview of our group projects and other resources available at Family Tree DNA. In this webinar, Elise focuses on how to read and understand your mtDNA results. Learn where to find your mtDNA results in your personal myFTDNA account, how to read your mtDNA Results page and what the results mean, how to analyze your mtDNA matches, what your mtDNA haplogroup means and much more. She also provides tips for making the most of your Family Tree DNA experience. This entry was posted in Autosomal, Education, Family Tree DNA, Mitochondrial DNA, Y DNA and tagged Introductory DNA by Roberta Estes. Bookmark the permalink. I am happy to have these new webinars. I hope people who don’t have a science background will be able to understand them. How great is this news! A genetic testing company who is reaching out to its members not just for their money. I may have to take back my negative remarks to friends and family about feeling left in the dark – genetics not being my area of expertise. Thanks FtDNA….and Roberta!!! Thanks for drawing this to our attention. I can see how people feel consumed & overwhelmed as it isn’t easy to grasp all of the concepts at first. Newcomers need to take time out to educate themselves and some give up as it looks less straightforward than they imagined. Personally speaking I find concepts like chromosome mapping very difficult to fully grasp. It seems like you need an IQ over 140 to really utilize the results 🙂 So it’s not these basics bit the complexities – that might really help – that feel way beyond me despite your clear explanations etc. Also for those of us trying to find unknown fathers it all feels v tough. For example my friend Beth and my mother both have unknown American fathers. Beth and my mother have mothers from Devon, England & match you at 4th cousin level. Do they match you via the UK or through the American father? We are sifting our results for every clue. We can’t say. Beth matches my brother and you. My mother and I don’t match Beth. I think I understand why this may be . That’s something :). I find most FTDNA matches just lately aren ‘t responding at all. As a lady said recently ‘my husband just deletes the shirt tail matches as there’s no value in them’. Human nature wants easy wins – just ask anyone who has been trying to find a father for a lifetime. Many think there is no way to find the common ancestor & give up in frustration after a while. We’ve had our results for about a year – although there are some clues in the geography I have pinned down only three matches to my tree & one of those I can see the right name & location but not the ancestor. That is after hours & hours. & hours of work. I am addicted, incredibly tenacious & will keep on keeping on. It’s realistic to think most won’t. Have made only one match in all the time I spent on Family Finder. That is when I got my Aunt to test and Bravo it showed correct YDNA has proved great and found matches all the way back to 1736. I just do not have the time or knowledge to compute all the data and tools to do it. Ted nails the problem above – most men (and I do understand why) are interested in only the Y line really. It’s understandably more satisfying for most & you feel you can get more bang for your buck if you can make easy, steady progress. 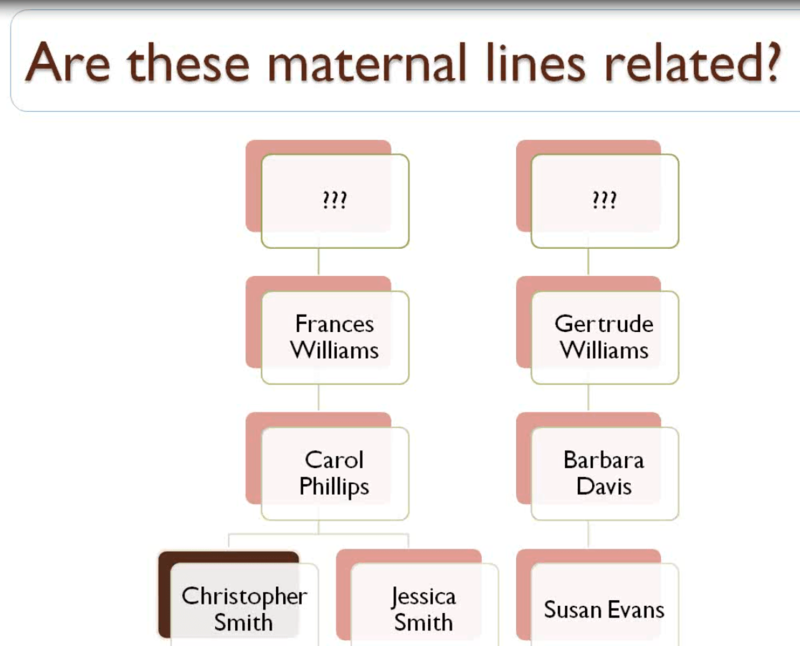 MtDNA does not work in the same way for women whilst it’s fascinating to have the history it does not help at all for recent genealogy. I find I get a very low response rate from MTDNA matches. I find most going into (MtDNA) it have no understanding of how it works. So many say to me I want to know about my mother’s family (meaning last 200 years) & then get disillusioned when they find this is not how it works. I wish there was a greater interest in Family Finder & I worry that autosomal testing will fall out of fashion for reasons stated & with push on Big Y etc. I find I am effectively barred from surname projects I a interested I as I am not a man. If all those who did a Y test also did Family. Finder I’d have things sorted in no time. This is an important comment, but it saddens me. The DNA testing companies are largely to blame for this problem. They could do MUCH more to make their product more easily used by people who do not have advanced knowledge of cellular biology and spreadsheets and HTML, etc. No one should have to dig deep into code or upload browser extensions to make good use of their DNA testing results. Those who really make the most of DNA testing for ancestry often have specialized knowledge in science or computer tech, or have done an incredible job of self-education. Genetic genealogy shouldn’t be limited to retired engineers and molecular biologists. Maybe this is a point that is hard for the tech wizards who run DNA testing companies to understand. Roberta, I have a couple questions regarding using Y, Family Finder and mtDNA results in conjunction with each other. If I (female) have two male matches on FF on the same chromosome and the same segment but the two males have been tested as different haplogroups is this an indication that we do not match through their direct paternal line? Also, if I have matches(male and/or female) at the same chromosome, same segment but their mtDNA testing shows they have a different maternal haplogroup than I do, does that mean we don’t match through our direct maternal line but somewhere else in our genealogies? I hope my questions made sense. Yes, that’s correct. You could match on that line, just not the direct paternal or maternal part of that line. As subscribers/customers of FtDNA can we access these webinars after the fact? Are they archived somewhere? Did you follow the link? I believe in the past I’ve seen them available for anytime viewing. From the forum posting link u provided, on my iPad, I get “Safari unable to download’. Obviously the next thing to do is sign into my account which I have done. Where do I find it there? Thx. I have watched all of the recorded webinars that were sent in my e-mail and learned so much. (thank you) There have been a few since that e-mail came out that I can’t find access to. Is there a web page I can go to to see all of the webinars and access them? I would love more topics and recorded webinars. I work and can not watch as they are introduced. I don’t know for sure. You might want to contact customer service and ask. I just tried again to access again the webinars via the link you gave me earlier to relative roots and they are not viewable on mobile devices. Disappointing since I am 2000 miles away from my laptop for like 3 months. – The live webinars can be attended using the free GoToMeeting app (download from the appropriate app store). Working on the February schedule. A new thread will be posted to the Announcements section of the forum once it’s ready. Are these webinars available via my FtDNA acct? Thanks. Doesn’t work b/c I don’t have access to a PC or MAC; but thanks for all the suggestions. Hope the webinars are available when I am. Go to the App Store on your iPad and download VLC — this app will enable you to view the recordings on your iPad. After you have VLC installed, try to access one of the webinar recordings again. My goodness I never thought I’d resolve this conundrum; at my first attempt to download VLC the site told me that I had to connect my mobile device to my PC to download even though the icon is on my screen. I’m 2000 miles away from my laptop. However I went back as per ur suggestion to the link for the webinars, clicked and sure enough the first one loaded. Thanks for sticking with me. I hope all of them will be available when I have time to watch them.